Ricky Gervais recently reprised the beloved David Brent from The Office to teach the internet how to play guitar. 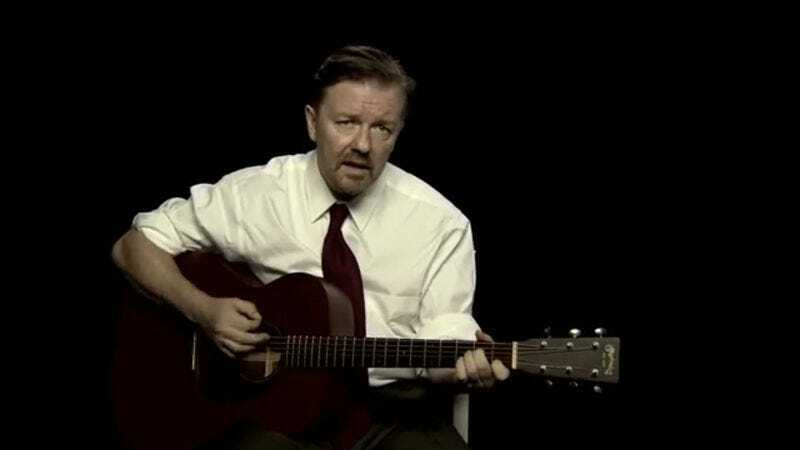 In Learn Guitar With David Brent, Gervais (who actually began his career as a pretty sweet new wave musician) dons his old office garb and quietly plays in front of a black backdrop. Chaz Bundick, aka Toro Y Moi, recently covered one of these tutorial songs. "Slough" is a tender homage to the beloved town in which The Office is set. Gervais' version is definitely worth a listen, as he is actually talented. Bundick, however, takes it to a whole other level, adding all his Toro Y Moi-ness and turning it into something pretty awesome.